Advancing workplace productivity. A new identity for a B2B brand that helps Australia’s largest organisations to simplify complexity, see the unseen and realise new opportunities. Truly Deeply cre­ates a new brand strat­egy and iden­tity for Serraview and helps them reflect a new vision for intuitive workplace management and optimisation. Serraview provides intuitive workplace management and optimisation software for Australia’s leading corporate and government organisations. 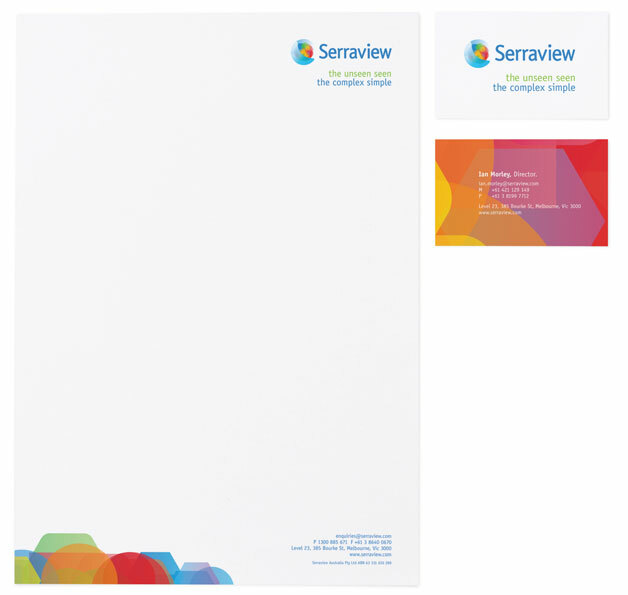 A niche B2B brand, Serraview has an enviable client list with leading banks, government departments and telecos. Serraview helps their clients better manage their workplace environments and realise significant reductions in property costs and enhanced performance and accuracy. 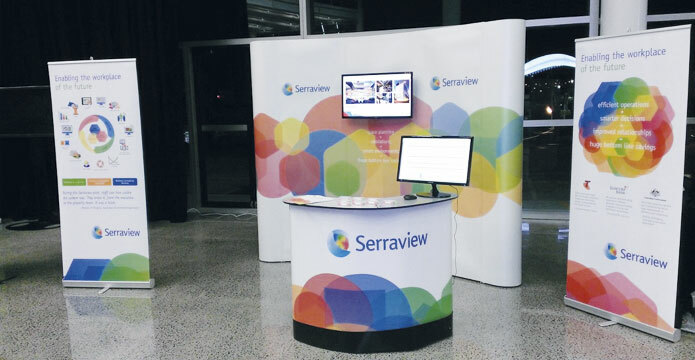 An incredible Australian business success story, Serraview has some very strong case studies and client testimonials that demonstrate their powerful value proposition. However, they realised that while they were focussing on their products and services for their clients, they had not invested in building a clear and distinctive identity for themselves. 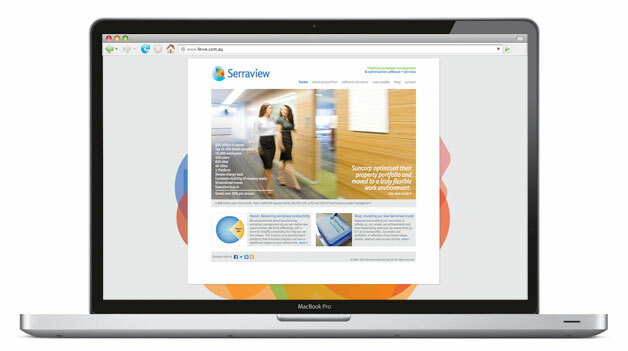 Serraview needed to create a true reflection of what makes the company special. They needed to define who they are, what they believe in and how they present this to their audience. Serraview is a B2B brand that competes with larger, more established software specialists as well as multinational technology and consulting firms. While they have a superior offer to all their competitors, their brand was neither distinctive nor compelling within their category. Our brand research and market decode revealed a bold opportunity for Serraview to break away from dated and traditional software and consulting cues. By disrupting the market norms, Serraview could emotionally engage their target audience around the real difference they make to their lives. Truly Deeply worked with Serraview to define a new brand value proposition that brings to life the company’s compelling truth and powerful brand story to share with their audience. “The new positioning is built around the idea of how Serraview helps its clients ‘simplify complexity and see the unseen’. This provides a clear and distinct direction for the company and that fuels their passion to truly make a difference to how companies think about, plan, manage and utilise their space and ultimately realise their true potential,” says Michael Hughes, Strategy Director and Partner, Truly Deeply. “At the heart of the design is a nucleus of energy, including all the elements that make up a workplace. The warmth of the globe reflects Serraview’s commitment to people – the people within the organisations they serve, the teams they work for, and their need to collaborate with each other and evolve in a changing world,” says Derek Carroll, Creative Director and Partner, Truly Deeply. The design also cleverly echoes Serrraview’s product visualisations, including their signature ‘Visual Block & Stack’, representations of teams, people, workpoints and their inter-connected nature. “All at once, our new brand-mark surmises what we’re all about,” says Ian Morley, Co-founder & Director of Business Development, Serraview. Truly Deeply provided strategic brand and design solutions for Serraview including a brand audit, competitor and market decode, stakeholder research, brand strategy, identity design and visual identity development. We also activated the brand with a new website, marketing collateral, stationery and corporate environmental design. Serraview has seen a massive growth of 52% this year and has just been included in BRW’s Fast 100 for the first time – Australia’s Fastest Growing Businesses – at number 72. “Truly Deeply’s unique approach to design and development has led to a fresh, modern brand and visual language for our company. Their focus on brand strategy and gaining a deep understanding of our business has led to a design that beautifully reflects us and provides the basis for a visual theme that we can roll out across our entire company”, says Ian Morley, Co-founder & Director of Business Development, Serraview. “The initial reaction from our staff, customers and partners has been incredibly positive. We are now positioning ourselves well ahead of the industry norm. We couldn’t be happier,” adds Morley.